Energy drinks have become popular nowadays, especially among teenagers and young adults. Drinking them can provide instant energy for people who feel a bit sluggish during the day. However, it seems that energy drinks may not be as safe as people thought it to be. There have been increasing reports of people hospitalized for energy drink related incidents. 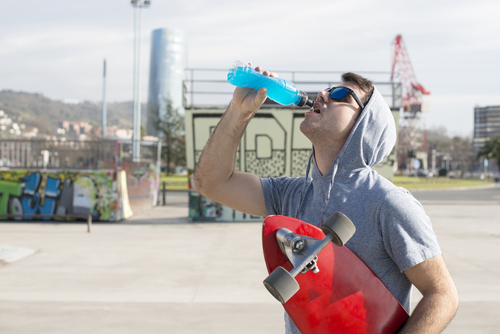 Here are several ways that energy drinks can affect you and your health. Drinking it can cause your blood pressure and heart rate to rise. Energy drinks contain caffeine and high doses of it. That is what gives people the energy. An energy drink can contain as much as 500 mgs of caffeine. If you compare it to a cup of coffee with only 100 mgs of caffeine on average, then you can somehow see the danger. Caffeine can cause your heart rate and blood pressure to rise up. If you suffer from heart disease or a heart problem, then drinking energy drinks may increase the risk of heart attacks and stroke. Energy drinks that contain taurine can also boost up calcium to abnormally high levels, which can lead to an irregular heartbeat or even cardiac arrest. Mixed with alcohol or drugs, it can increase the risk of heart failure. A recent trend among teens and young adults is drinking energy drinks laced with alcohol or other illicit drugs. This can be a very dangerous combination. Energy drinks can boost up the effects of alcohol aside from increasing your blood pressure or heart rate. The caffeine can also act as a diuretic, which causes the body to lose water and suffer from dehydration. Alcohol also functions as a diuretic, which can cause dehydration to set in faster. It can hide the effects of alcohol. Energy drinks can also hide the effects of alcohol. The caffeine in energy drinks work as a stimulant causing people to feel more energetic and alive. Alcohol on the other hand is a depressant. Mixing them together will create conflicting signals to the nervous system. Drinking alcohol alone will cause tiredness after a while, which can limit a person’s intake of more alcohol. But when mixed with an energy drink, it can override such signals and enable people to drink more and more alcohol. This can be very dangerous if it leads to alcohol poisoning.